Insights on food preparation, passion, and philosophy. 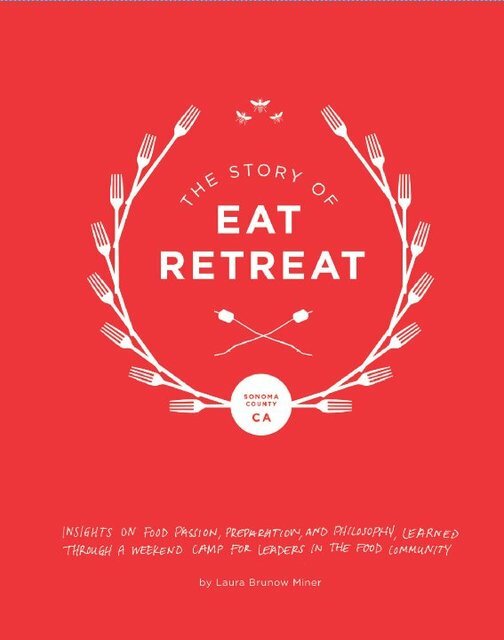 The Story of Eat Retreat is a collection of insights on food preparation, passion, and philosophy learned through a weekend workshop for leaders in the food community. Attendees of this creative retreat included cookbook authors, chefs, food photographers, food pantry organizers, etc., from organizations like James Beard Foundation, Foodspotting, and Bi-Rite. Laura is an editor, designer, and entrepreneur in San Francisco who founded an online photography publication called Pictory and a series of creative retreats called Phoot Camp. She was recently listed as a “Hot 20 Under 40” by 7x7 and one of the “Most Influential Women in Tech” by Fast Company.